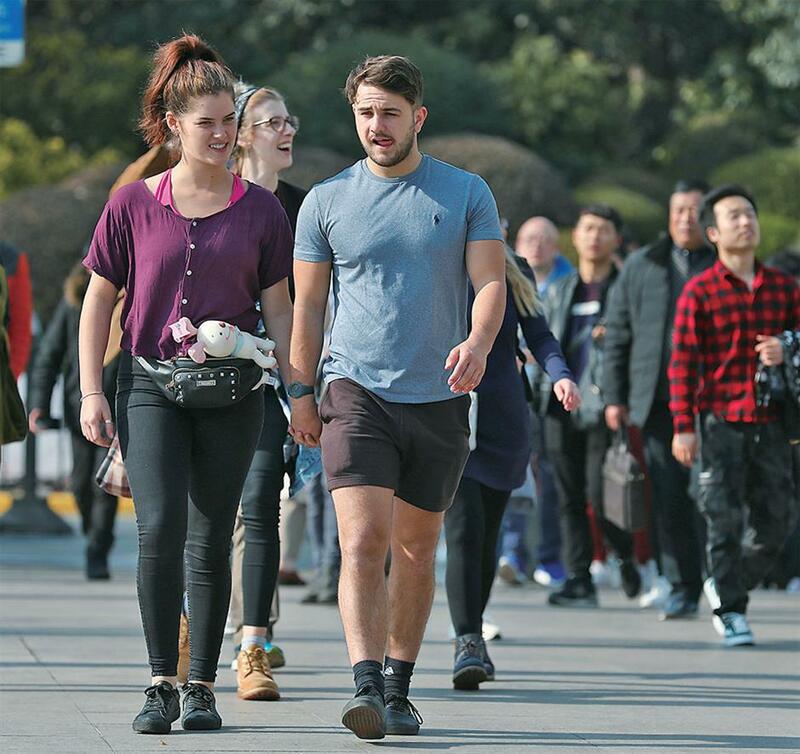 With warm weather predicted this week, Shanghai is likely to officially enter the spring season. Three foreigners take a walk in warm sunshine at People’s Square yesterday. It will be cloudy today, with the low temperature above 10 degrees Celsius and the high touching 20 degrees. Mercury will climb tomorrow with the low rising to 13 and the high topping 22 degrees. It will be likely wet from Wednesday but the temperature will remain warm, hovering between 14 and 21 degrees. Thursday will be wet whole day, and mercury will drop slightly, fluctuating between 16 to 19 degrees. The rain is expected to stop on Friday, and temperature will range between 11 and 13 degrees. Meteorologically, it requires five consecutive days with average temperatures above 10 degrees to be officially declared spring. Records from 1981 to 2010 show that Shanghai usually enters spring on March 17. It arrived on March 29 in 2017, but in 2016 it had hit the city on February 9.